What is the Difference Between Home Care and Medicare Home Health? If you have begun researching the different kind of care options available for you or a loved one, you may find yourself confused and overwhelmed. One common question individuals in this position ask is “what is the difference between in-home care and home health care?” Many are concerned that they will end up paying too much for services they don’t really need. Here we will discuss a few of the differences to help you make an informed decision, as well as the benefits you will experience using a reliable home care system or home care software program, such as ClearCare Online. The biggest difference between home health care and in-home care is that home health care offers a higher level of care that is deemed medically necessary by a physician. Home health care is provided by experienced individuals with medical training while home care providers typically do not have training for medical emergencies. For this reason, it costs more to hire a home health care provider. Since home care providers do not need specialized training, they are often easier to find. They may also be more willing to spend quality time with their clients, unlike busy health care aides. The first step is determining what kind of care is needed for the senior. Comparing services such as post-surgical care to general care and maintenance of the patient is important and will help you narrow down what kind of assistance is required. 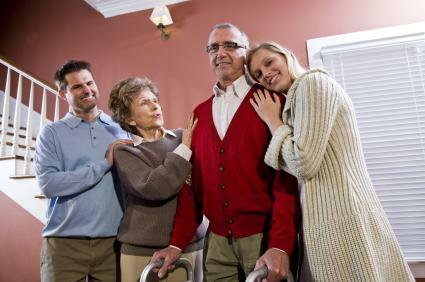 A disabled or seriously ill senior may need the services of a home health care provider, while an aging individual who needs occasional assistance in the home would choose home care. Families who are concerned about the care of their loved one will greatly benefit from an innovative home care system or home care software such as ClearCare Online. Working with a reputable home care agency that uses ClearCare Online’s home care software ensures that quality care is always being provided. Family members can log into their “family room” via computer or any mobile device, verifying that the caregiver is indeed at their loved one’s home as scheduled. Families can also use ClearCare Online’s home care system to check that all important daily tasks have been completed, view invoices and future schedules. For more details about how ClearCare Online’s home care system and home care software benefits families, check out our recent post on Keeping Families Connected.